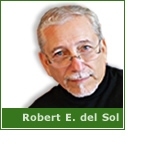 Robert E del Sol is a founding member of SynaptIQ+, he also heads his own technology services consulting firm and is a Google Cloud Framework expert. He brings 40-years of technology management experience to the organization as a life-long technology designer, developer, serial entrepreneur and inventor. Developed a successful early version of a digital desktop publishing system (similar to Xerox’s later system). Instrumental in the development of the first transnational microwave communications network between the U.S. and Baja California, Mexico. Patent pending for novel methods and systems related to ambient energy harvesting, electronic sensor networks and related energy storage technologies suitable for licensing and commercialization. Served on western-region exploratory committees in formation of the National Information Infrastructure (NII), the results of which became the Clinton administration’s initiative to create the “information superhighway,” to be built by private industry (now known as The Internet). The system named SitePACQ® (see above) was the first e-learning system offered in the Software as a Service (SaaS) business model years before “Cloud” computing concepts become the norm. Over 2,000-hours of downloadable video-training content modules and over 800 courses were produced in-house for a number of clients in corporate, education and government who relied on the system for efficient and low cost training assessment and certification. Currently, combining all his knowledge-bases, Robert is in demand as a consultant for Change Management. We at SynaptIQ+ only wonder when Rob ever sleeps!